The Gubi Pacha Chair embraces low-level living - a modern way of living and sitting on the floor by getting rid of chair legs. 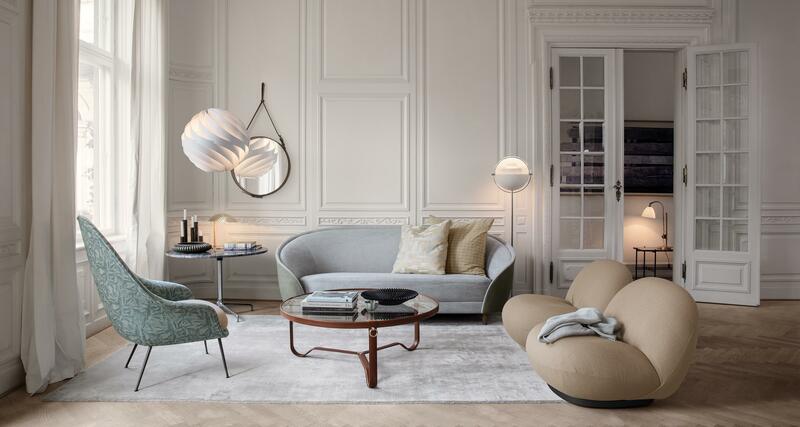 The curvaceous, whimsical and organic shape of the Pacha Chair is an honest, functional piece that brings life and character to any interior setting. Originally designed in 1975 by Pierre Paulin. His sculptural approach to furniture design is embodied in the low lying Pacha Chair. Features a painted wood base.